Thankfully my mother is pinch-hitting for me since I have totally lost all arranging skills after a month on vacation. The container is from her jar collection–it’s slightly violet-tinted. 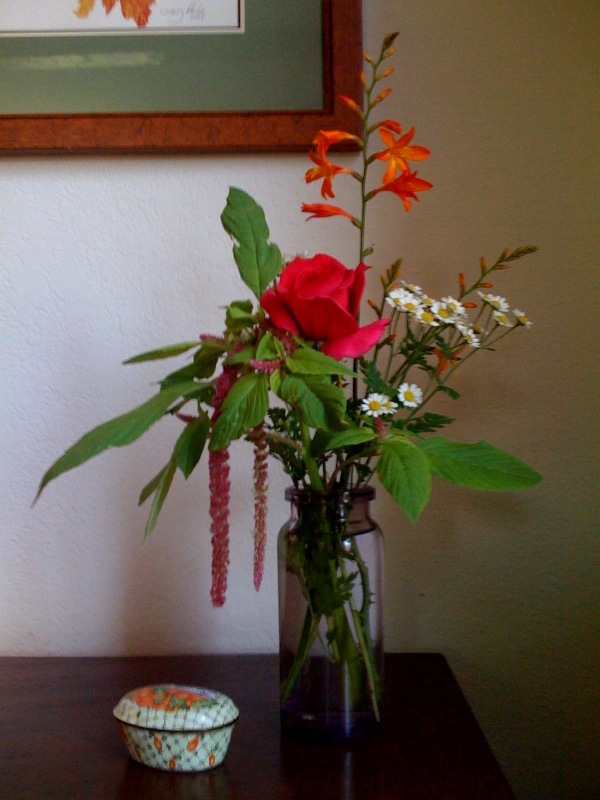 All flowers from her garden. So amazing to see this flower. there after the death of his wife.